There are many things I hope for you to achieve. However, your actions and all your lives are unable to meet My demands entirely, so I have no choice but to come straight to the point and explain to you My will. Given that your discernment is poor and your.. Throughout the ages, no human has entered the kingdom and thus none has enjoyed the grace of the Age of Kingdom, none has seen the King of the kingdom. Though under the illumination of My Spirit many people have prophesied the kingdom’s beauty, they know but its exterior, not its.. 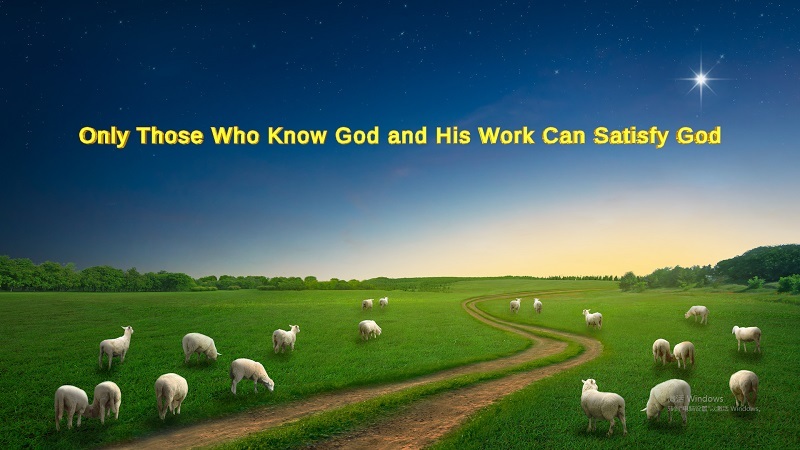 The work of God incarnate includes two parts. The first time He became flesh, people did not believe in Him or know Him, and nailed Jesus to the cross. The second time, too, people did not believe in Him, much less know Him, and once again nailed Christ to the.. In the beginning, God was resting. There were no humans or anything else upon the earth at that time, and God had not done any work whatsoever. God only began His management work once humanity existed and once humanity had been corrupted. From this point on, God no longer rested..